For most homeowners, the refrigerator is the focal point of a well-running kitchen. A properly maintained refrigerator should maintain an operating temperature between 37 and 41 degrees Fahrenheit to ensure the reproduction of bacteria is slowed enough for your food to be usable. If your fridge is not operating correctly you could end up losing money on food waste, or worse, risk suffering illness. Our expert technicians are skilled in the repair and maintenance of all types of refrigerators; top freezers, bottom freezers, side by side, french doors, compact and freezerless, counter depth or built in, and sub zero refrigerators. Whatever type of fridge you have in your home or office, we can get to work the same day to get your appliance up and running again. From repairing damaged parts to performing general service we are your same day repair and maintenance experts. 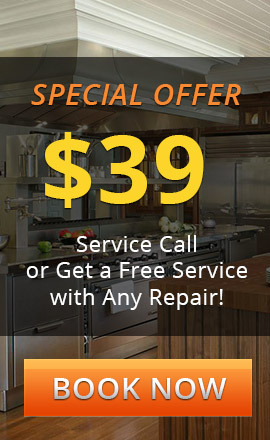 We are experienced in the maintenance and repair of a comprehensive array of parts and common refrigerator problems including thermostats, water filters, replacement bulbs, ice maker components, defrost heaters, cold controls, door switches and seals, condensers and compressors, evaporators and fans, valves, solenoids, drawers, bins, and shelving. The experts at 858Appliance can help you determine what the problem is with your refrigerator. Newer fridges in good condition may require only a simple fix, but if your refrigerator is older and struggling due to years of wear and tear, we can help you determine if replacing your fridge is the solution that makes the most financial sense for you. Learn more about 858Appliances here. And call us right away!